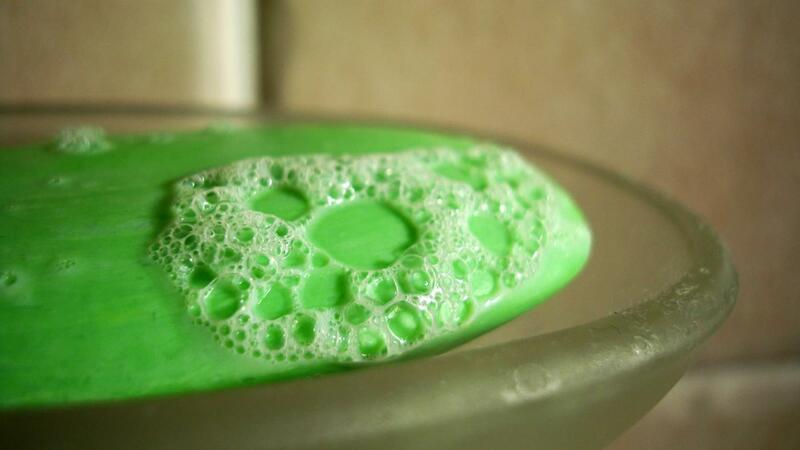 How Do Soap and Detergent Differ? The fundamental difference between soaps and detergents is that soaps are produced from natural ingredients, while detergents are made from synthetic sources. Soap is made from a combination of fats and oils, which are taken from plants and animals and combined with sodium or potassium salts to produce a solid mixture. Detergent, on the other hand, is created using chemical compounds, such as propylene, which is combined with sulfuric acid, then doused in a large pool of sodium hydroxide to reduce the sulfuric acid content. Soaps are generally softer and less harsh on the skin than detergents, which makes them ideal for use on the human body. Soaps and detergents share a fundamental chemical property, which is that they are classified as surfactants or surface-active agents. This means that both reduce surface tensions of water: soap generally on the skin, and detergents on clothing. In addition to being gentler on the skin than detergents, soaps are biodegradable and do not emit pollutants into rivers, streams and the air. Detergents, in contrast, contain synthetic materials that take much longer to dissolve and degrade. One advantage of detergents is that they are much more powerful than soaps, and it takes a small quantity to wash large volumes of clothing. What Are Some Ways to Compare Laundry Detergents? How Do You Make Safer Soap?